The seemingly simple act of trip planning is actually an almost boundless vehicle that I use to indulge my increasingly frequent and neurotic tendencies. I sit here at home and plan while I lounge on my couch – one of my favorite places in the world. This couch and my home are a safe place, a place where I’m accountable to no one – with the exception of maybe my wife E, my dogs and my cat. I have no need, responsibility or opportunity while at home to make small talk or interact with strangers. I can call, text or video chat with friends and family who are located all over the globe or I can simply choose to isolate myself from the outside world until I next need to report to work. It’s a place where I can sit, entertain and ruminate over all the incessant thoughts that present themselves to me. Alone in my head, I analyze and project future moments that have yet to happen – over and over and over again. I scrutinize every minute detail of specific days and times that will occur in my near future but have not yet come to be. Exact moments in time that will indeed come and I will indeed experience firsthand. Exact moments not too far into the future yet still far enough away to remain fantasy for now. Experiences that won’t occur for over a month from now that I continue to play out in my mind as though I’m watching a film for the first time, merely witnessing the different ways those moments may come to be. I love to travel but I’m also introverted, so it can be hard for me to break out of my comfort zone – to explore new places, meet new people and even see old friends in large social situations. So, in a bit of irony, this very real experience of sitting at home planning – where I imagine and fabricate a future that just may come to be but for now only exists inside my mind, is one of my favorite parts of travel. My web browser is open. Tabs upon tabs upon tabs. Expedia. Kayak. Virgin America. Southwest Airlines. I need to find flights to and from San Francisco for both my wife and myself. We are visiting for just a few nights, extending our 3 day President’s Day weekend in February by a day, taking the Tuesday after the holiday off from work. I find cheap tickets leaving that Saturday, but we wouldn’t get in until late in the evening, resulting in a whole day lost to travel. For almost double that price, there’s a flight that gets us in earlier that afternoon but wants the return flight would have us leave to come back home at some early, ungodly hour. After consulting with my wife and a ridiculous amount of travel sites I wind up booking separate one-way flights through different airlines. 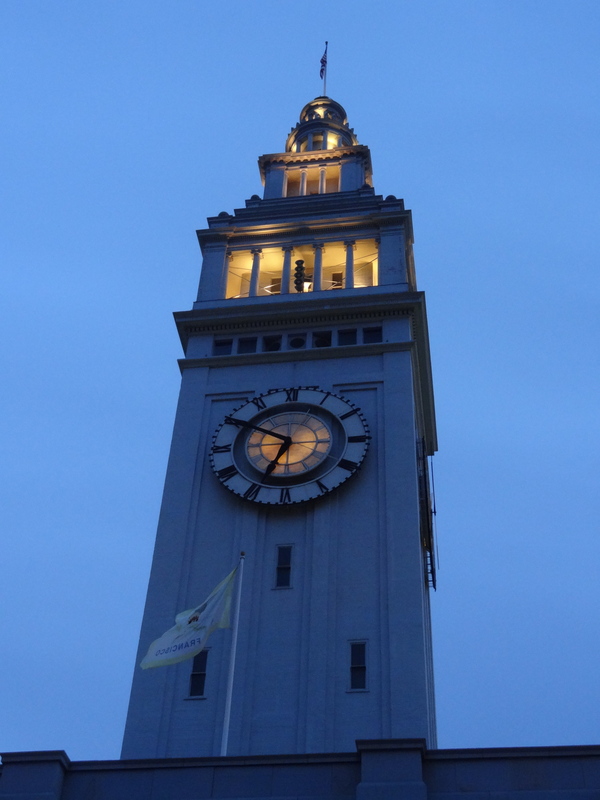 We’ll arrive in San Francisco late on Friday night and leave around noon on Tuesday. Next item on the agenda to obsess over is accommodations. E and I have decided to be a bit more independent and “adult” this trip, springing for a room somewhere instead of squeezing into my sister M’s one bedroom apartment in the Inner Richmond. 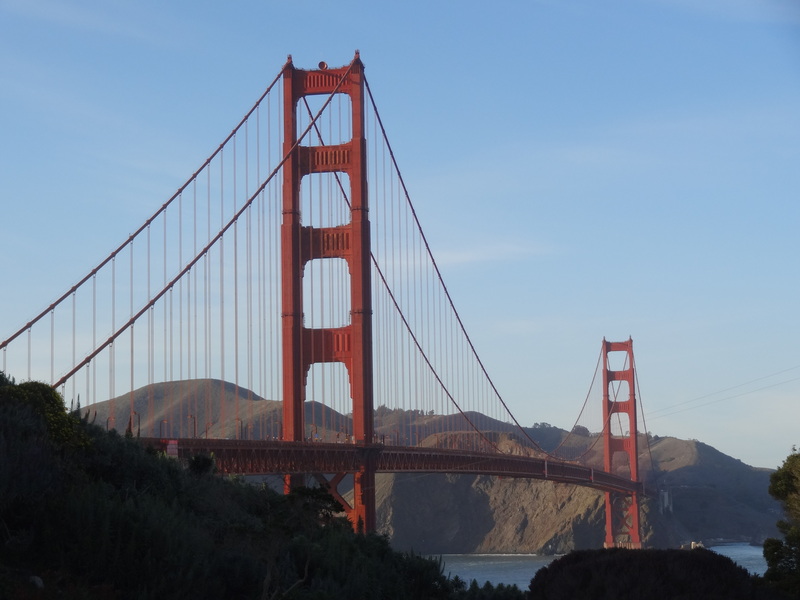 The Richmond is a largely residential neighborhood that’s sandwiched between Golden Gate Park and the Presidio, at the northern tip of the city and near the iconic Golden Gate Bridge, which connects the peninsula with Marin County and the rest of Northern California. M suggests I look at a boutique hotel that’s part of the small Bay Area chain Joie de Vivre and located about a mile away from her apartment. At over $200 a night, I decide to look for lower cost, different location, better amenities or some sort of combination of the three. I flip through the open tabs in my browser. Expedia. Priceline. VRBO. AirBnB. 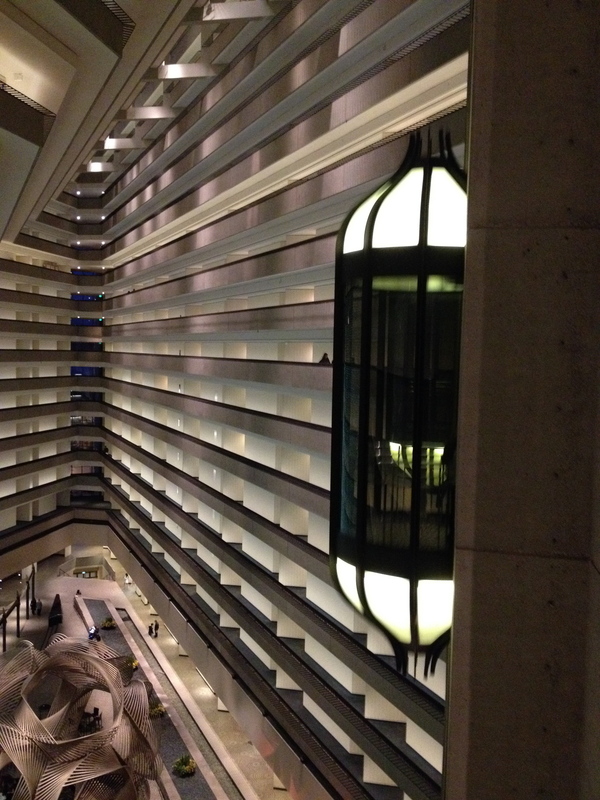 Hyatt. Marriott. After a couple of hours searching and a few phone calls to my sister filled with replies such as “You can’t stay there, regardless of the price. 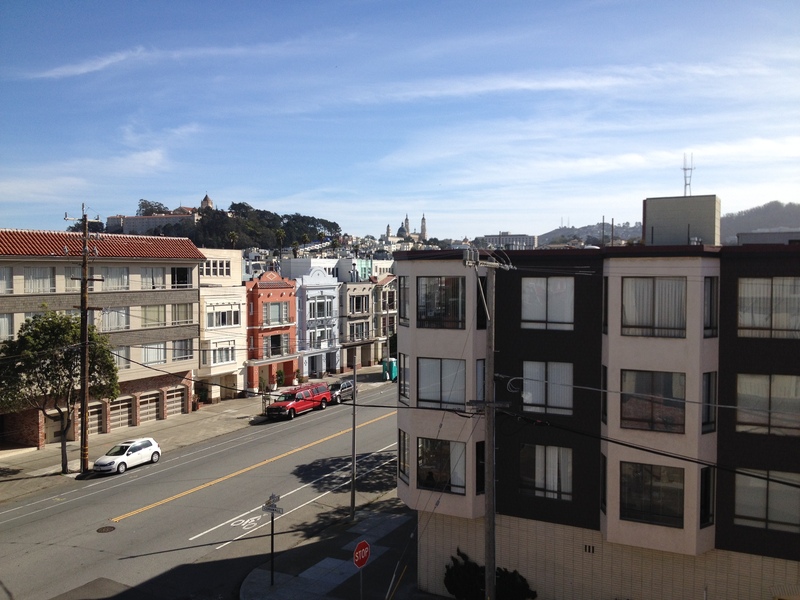 A friend got bedbugs” and “No, you’re not staying at that apartment, it’s in the Tenderloin – not safe”. I finally decide that the Hyatt Regency in the Embarcadero is my Goldilocks hotel, so I book a room and temporarily halt my persistent neuroticism.